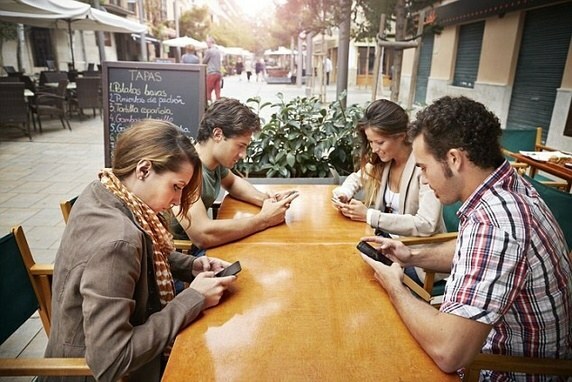 We live in the most connected generation, yet we are talking less than ever. The by-product of this generation’s social upbringing has had a profound impact on their adult development. Instead of using a land line to “speak” to their friends they “text” using smart phones; that we gave them! There are some positives…like texting at lightning speed and posting funny animal videos online. But how will this affect them later on in life? Particularly in the professional world? Whilst working at a university I was frequently surprised by parents calling on behalf of their children, who were unprepared to speak on the phone. “I’m calling on behalf of student X because he doesn’t like talking on the phone” or “she won’t know what to say”. These students then go on to be employed in to companies where they no longer hide behind their parents; but instead, the Baby Boomer middle and senior management. Companies are noticing a comparison between Millennials and Baby Boomers. Millennial employees are tech savvy, yet are almost incompetent when it comes to speaking on the phone to colleagues and customers. When your phone buzzes it releases an instant hit of Dopamine. It is difficult to experience that “hit” through a verbal conversation; leaving younger employees deterred from answering the phones. On the other hand, Baby Boomers prefer verbal communication, as it allows them to build relationships and in doing so release oxytocin. Relationship building is essential to the Boomers as opposed to the quick fix Tinder generation. Organisations need to address the increasing demand for employees needing basic communication training, but more importantly understanding what is happening and why. Neuroscientists state that by training and developing your employees you strengthen the synaptic connections between two neurons which enables a faster and more efficitant link in the future (Hebbs Law). Trained employees will then be able to develop their communication skills and continue to build important relationships. This increases productivity and engagement amongst your whole team. For more insight into the 'Science of Communication' follow us on Twitter, LinkedIn and Google+. You can also keep up to date with our blogs on our website. At ICD we recognise the importance of communication within the workplace. By using our unique Crucial Conversation model based around neuroscience, we will guide you in understanding others, preparing for authentic communication and enabling you to build trusting and engaging relationships – in all areas of life.